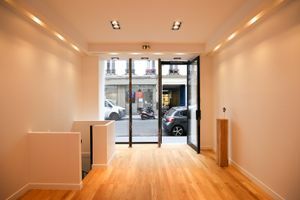 This modern 45 sq m boutique space in the busy area of Le Marais is ideal for pop-up shops, product launches, and ready-to-wear retail. 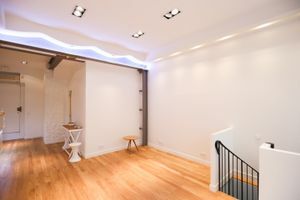 This space is divided into three rooms. 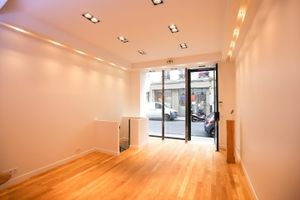 The ground floor room of 30 sq m is decorated in a contemporary style with white walls, wooden floors, unique lighting and a large glass frontage which offers fantastic window display potential. There is also a small breakout room on the ground floor. 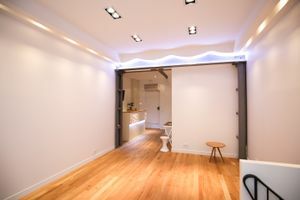 A 11 sq m stock room on at basement level makes this store well suited to retail. Other facilities include Wi-Fi, some limited kitchen equipment and a security system. 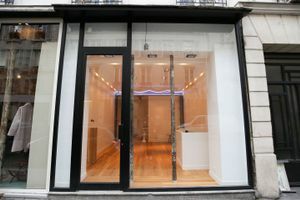 Located on a street popular with emerging brands and creative retailers, this shop is a great opportunity to build presence in a highly innovative environment.